I had never been to LaPush, Washington until last month when I ventured to the Olympic peninsula on a spur of the moment trip. It truly is a beautiful area & of course the sunset caught my eye. Although the foreground was a bit of an industrial area, the shadows still had a nice effect. 22 Aug	This entry was published on August 22, 2012 at 9:31 pm. It’s filed under Photography, Uncategorized and tagged landscape photography, LaPush, ocean, Olympic Peninsula, Outdoor photography, photography, photos, sunset, travel, Washington, Washington State. Bookmark the permalink. Follow any comments here with the RSS feed for this post. I like the fact that the perspective of the objects is preserved even with the silhouette effect cause by the sunset. Nice photo! 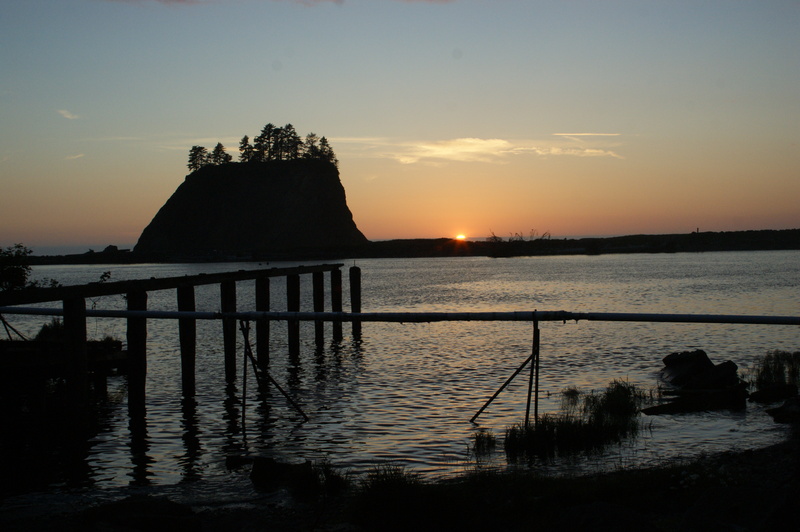 My experience with the ocean along the Olympic Peninsula came in an early May camping trip 35 years ago. I’ll never forget it. From that one week’s exposure, I know those sea stacks are incredible in all kinds of light and weather.